It’s Kub Kar (Pinewood Derby for those of you below the 49th parallel) season! Gentlemen (ladies too!) start your engines! Boys’ Life online has some good tips for a winning car plus links to several other great articles including photos of cars from previous years to use for inspiration. Being serious now, the “Yellow Fish Road” is a very worthy project that any Scouting Group can help with. Founded in 1991 by Trout Unlimited Canada, Yellow Fish Road has help build awareness on how pollution can easy enter our watersheds through urban storm drainage systems. It serves as a visual reminder that at the end of the storm drain there is fish who are dependent on clean water to survive. Painting the fish with lots of helping hands! The program has two parts to it. First there is a fish-shaped door hangar that raises awareness to homeowners in the target neighborhood. 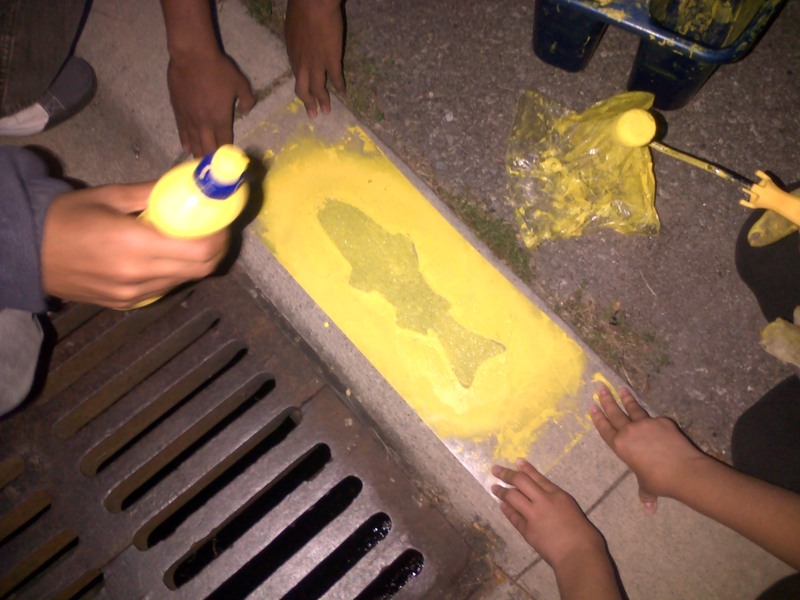 The second part (and fun part) is painting yellow fish using a provided stencil beside storm drains. This past week my Scout Troop and Venturer Company joined the 1000’s of other Canadians that have helped paint the Yellow Fish Road. In a little under an hour, our six Venturers painted approximately 30 storm drains and delivered the door hangers to the houses on the two streets assigned to us. We even had the chance to explain the program to people out walking in the neighborhood. It always pleases me to see the smiles of strangers when they meet a group of working Scout youth. 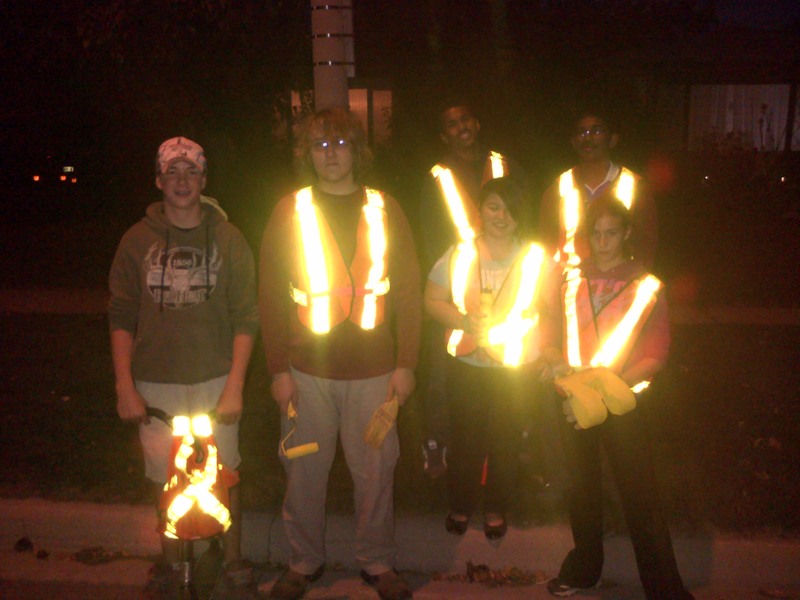 The 2nd Bramalea Venturer “Road” crew! The program is available across Canada. In our Group’s area, the Toronto Regional Conservation Authority is the sponsor, but you can visit the Yellow Fish Road website to find out who to contact in your city. This program makes for a great environmental service project and it’s fun too! 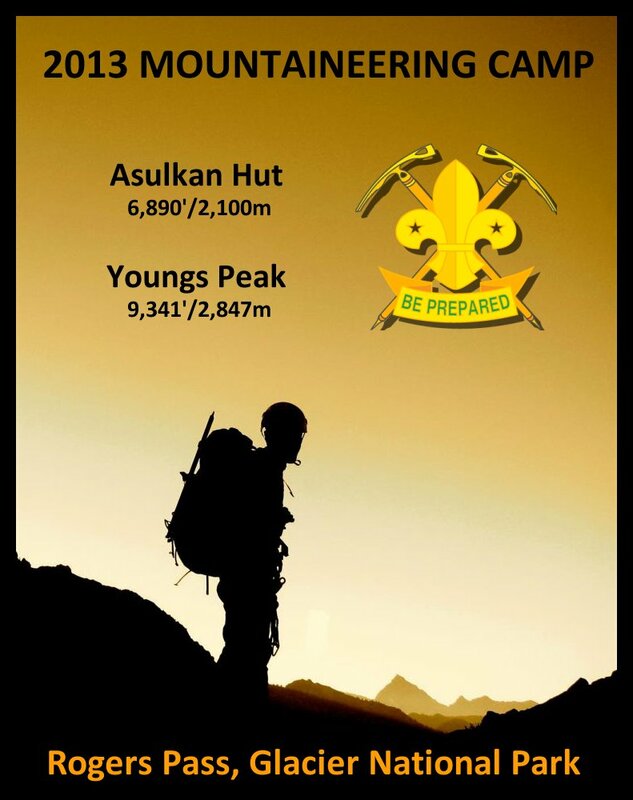 Check out this awesome adventure the 5th West Vancouver Mountaineer Scouts had this past summer! A unique camp for a unique Scouting Group (very envious). It makes me wish I lived on the west coast. I’m hoping to explore this program more in the near future so stay tuned.